Bespoke Tours Events Contact Bicentennial Tours Purchase a Gift Card! Bicentennial ToursPurchase a Gift Card! In recent years Singapore has grown into a hub for the creative arts with flourishing theatre companies, film festivals, international art exhibitions, design fairs, and even educational establishments promoting the arts as a career. We strongly believe in supporting the arts through our regular monthly art tours and quarterly film tours. We also regularly organise special events built around evenings at the theatre or film screenings. For more information and to book a tour, please click on the event you are interested in. We’ve seen a proliferation of visual arts in Singapore in the last few years, with everything from vibrant street art to our prestigious National Gallery curating world-class exhibitions. Singaporean designers are also making their mark on the international stage. At Jane’s Tours we are doing our part to promote Singapore art by organizing gallery walks and collaborating with Friends of the Museum (FOM). The post WWII years, especially the 1950s, saw Singapore's golden age of cinema dominated by two movie companies, Shaw and Cathay. Although both these names survive in movie theatres today, only the delightfully nostalgic Shaw studios still exist. In recent years, the movie industry here has enjoyed something of a revival with many young Singaporean directors coming to the fore, helped by the many film festivals we now enjoy. Live theatre has always been popular in Singapore with several of our colonial forefathers treading the boards and our oldest theatre company, The Stage Club, celebrating its 75th anniversary this year. Our national performing arts centre, Esplanade Theatres on the Bay, with facilities large enough to stage international musicals and small enough for local music recitals, opened in 2002. Riding the wave, the theatre scene in Singapore has grown exponentially with companies such as SRT, W!ld Rice, Pangdemonium, and The Necessary Stage adding to the many plays and musicals on offer. More and more Singaporean authors are finding publishing fame both locally and abroad. Running since 1986, our annual Singapore Writers’ Festival is one of the few multi-lingual literary festivals in the world covering works in English, Malay, Chinese, and Tamil. This year (2017), the Festival will be housed in the Civic District amongst historic buildings including The Arts House, The National Gallery and the Asian Civilisations Museum. In 2000, The National Book Council launched the biennial Singapore Literary Prize. A multi-lingual competition — English, Malay, Chinese, and Tamil — for Singaporean citizens and Permanent Residents. 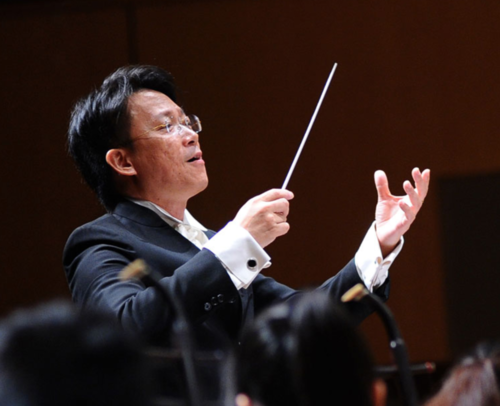 The Singapore Symphony Orchestra, housed in the Victoria Concert Hall; the Singapore Chinese Orchestra; and many others provide a wide array of classical music concerts. In addition, we have a burgeoning live music scene encompassing jazz, rock and pop festivals, and concerts of all flavours from classical to heavy metal. As for dance, the options available are huge – from Singapore Dance Theatre with its beautiful ballet performances, including the annual Ballet Under The Stars, to modern dance of all genres — hip hop, jazz, tap, samba, and tango. And if you want to literally kick up your heels, we even have flamenco schools! Many traditional crafts and trades have disappeared from Singapore and others are very rare these days. In the past, traditional craftsmen often painstakingly created their works with little else but their hands and some simple materials and tools. These master craftsmen include the likes of various cultural paraphernalia makers, movie billboard painters, traditional costume makers, old school tailors and shoemakers, and craftsmen in many other old trades. Today, a handful of these “masters,” many tucked away in hidden corners of Singapore, still hold on to their craft or business. Theirs is often a tale of passion and perseverance, pure sweat, and hard work. Our tours visit 3 or 4 of these master craftsmen to find out how and why they persevere. Watch this space for upcoming listings. We are a registered Singapore travel and tour agency.